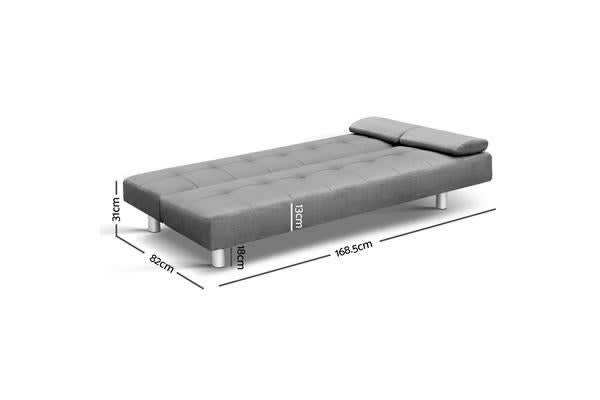 Our 3-seater sofa bed is constructed with a solid wood frame and filled with anti-collapsible high density foam. The entire unit is upholstered with faux linen and can be quickly converted from sofa to a double bed. 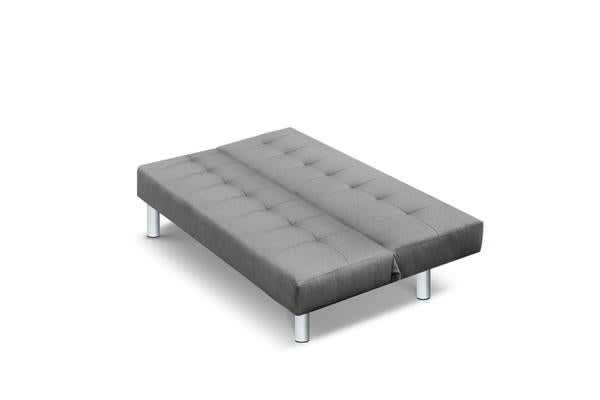 The backrest is tufted and adjustable to three different positions to suit use type. 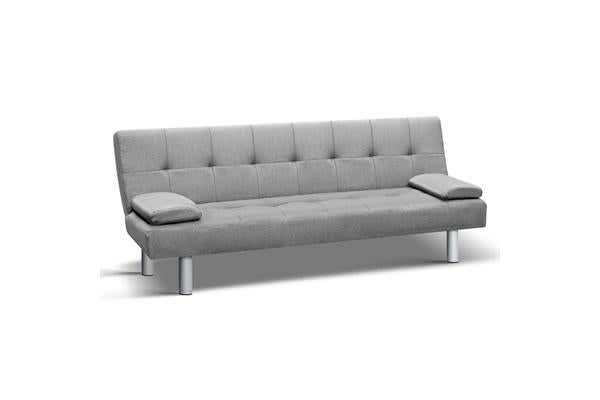 The armrests are removable and the metal legs are pwoder-coated. Total weight capacity is up to 200kg.